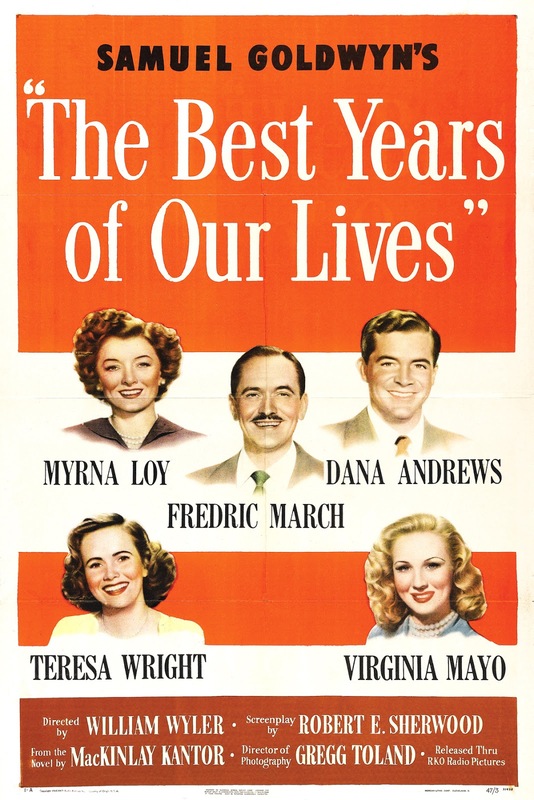 This entry was posted in Movie, Reviews, War Movie, WWII and tagged Dana Andrews, Movies, Myrna Loy, Post-war, The Best Years of Our Lives, Veterans, War Movie, William Wyler, WWII. I think you got it right. It is unsurprisingly beloved and deserves to be. The acting is outstanding and the directing by Wyler is great. His use of deep focus makes some scenes mesmerizing. I see it as the companion to most of the Old School American WWII movies. Here we see what might have been the post script to the warriors’ lives. My only problem is the overly optimistic ending which sugar coats reality. A good way to see how Hollywood changed its view toward returning veterans is to compare this film to “The Deer Hunter”. Both are of their time. Trivia: The actor who played Homer (Harold Russell) lost his arms in an accidental training explosion. He is the only actor to win two Oscars at an Academy Awards. They planned ahead to give him a special award because it was assumed he would not win the Best Supporting Actor. Wyler insisted Russell not take acting lessons. It is #40 on the Military History Greatest 100 list. That seems appropriate. #40 seems fair. I was surprised that I liked it so much despite some really date elements and the over optimistic ending. It so well done and gastin Russell as Homer was an extremly good choice. I see it as a companion piece to Sine You Went Away which I liked much better than you as far as I remember. Good catch on “Since You Went Away” as a companion. You’re right, I thought it sucked.